The Arnaud School District was established in March 1902 and a schoolhouse operated in the village of Arnaud, in what is now the Municipality of Emerson-Franklin. 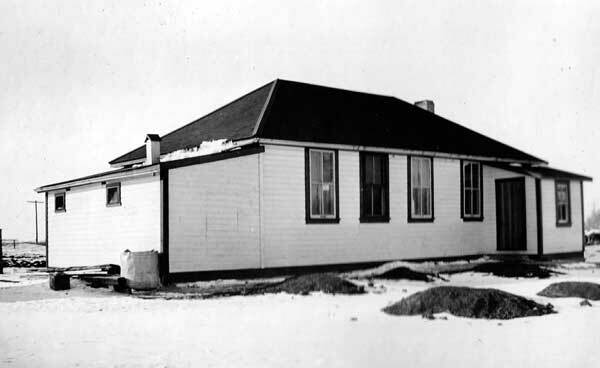 A new two-classroom structure replaced it in 1938. With growing student enrollment, more space was needed by the mid-1950s so, in 1955, the former Lyman Centre School building was moved to the site and annexed to the south side of the building. In the 1960s, it became Arnaud Consolidated School District No. 2424 and, still later, became part of the Boundary School Division. In the fall of 1972, with the opening of a new school at Dominion City, the Arnaud School closed permanently. 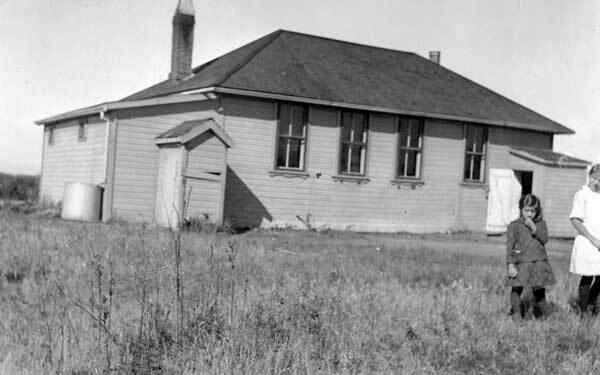 The three-room school building was removed from the site around 1974. Among the teachers of Arnaud School were Minnie E. Stewart (1913-1914), Mr. W. F. Burnham, Thomas M. Whitley, Dan Reece, Harry Sharpe (1930-1932), Ethel Reynolds Jones (circa 1938), Peter R. Harder (circa 1938), Margaret Enns Peters (1954-1955), Wilma Poetker (1955-1956), John Martens (1955-1956), Henry Unger, Lydia Peters (1967), Kathy Kathler (1967), Erwin Penner (1967), Kathy Kathler (1968), and Susie Thiessen (1968). GR8461, A0233, C131-2, page 71. Morris East topographic map, 62H/6 East, Edition 2 ASE, Series A743 [UFS Reference Collection]. Manitoba School Records Collection, Arnaud School District No. 1175 Daily Register, GR2038, Archives of Manitoba.